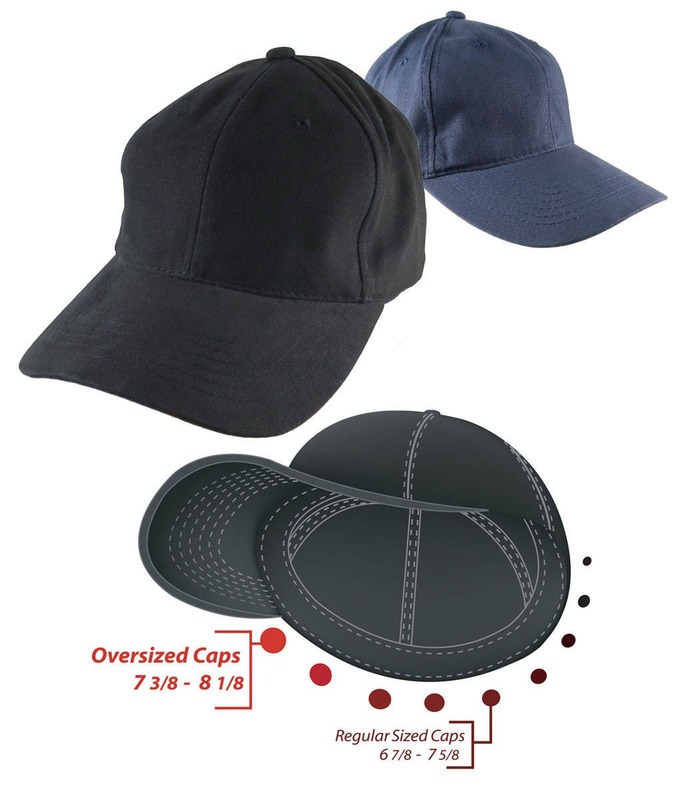 Looking for a larger sized classic baseball cap? This one's for the larger head crowd. It will fit the hunk head comfortably with adjustment room to spare. 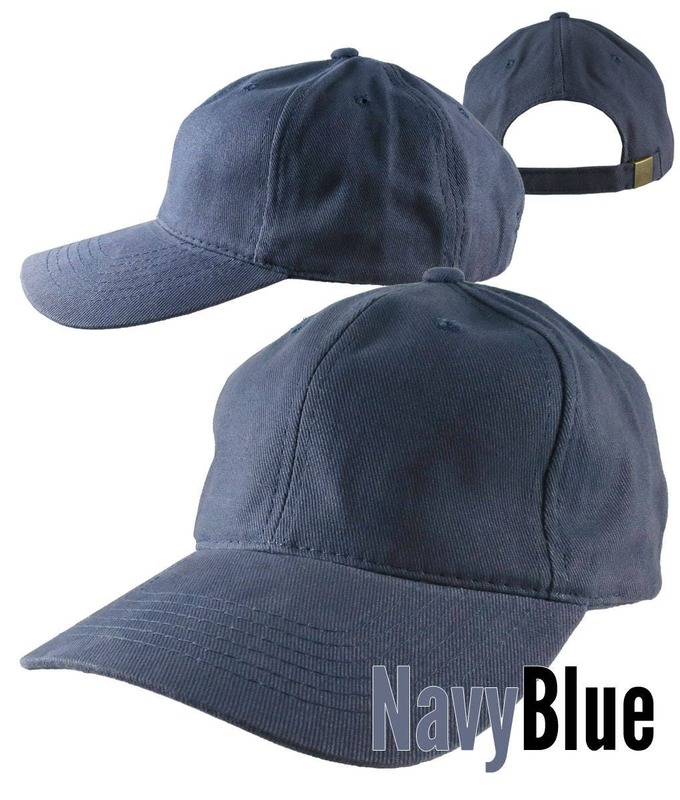 Available in black and in navy blue. 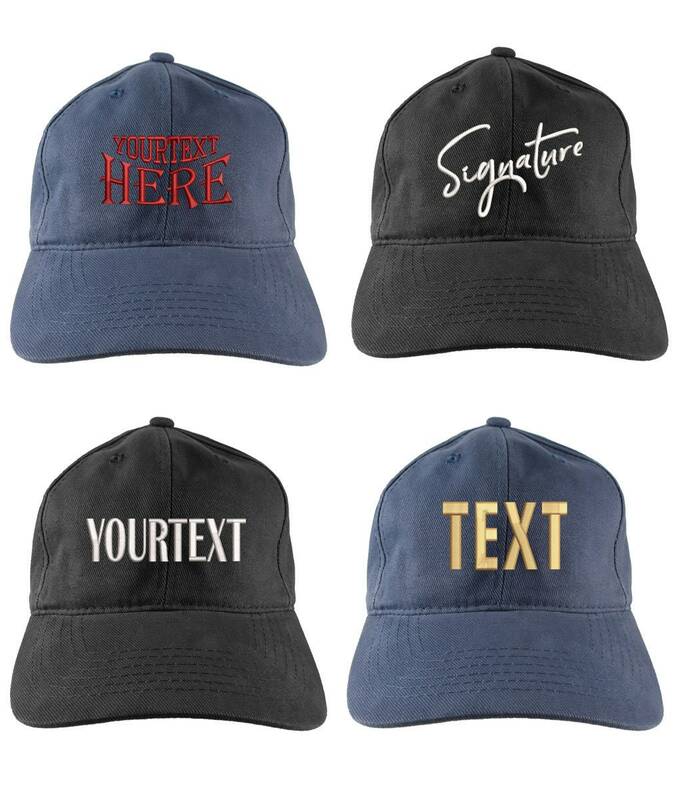 This hat comes with your choice of a one color front embroidery decoration or text. This large size hat is also offered as an alternative hat to anyone of our one color designs currently in store on other hat models. 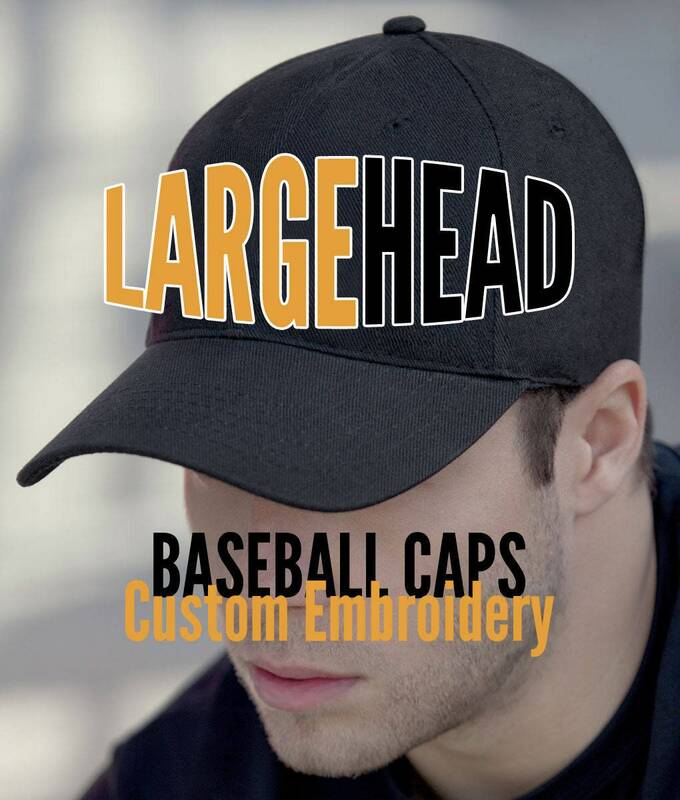 Finally, you've found the oversized baseball caps you've been looking for! Sure to make someone special on your list a very happy camper. 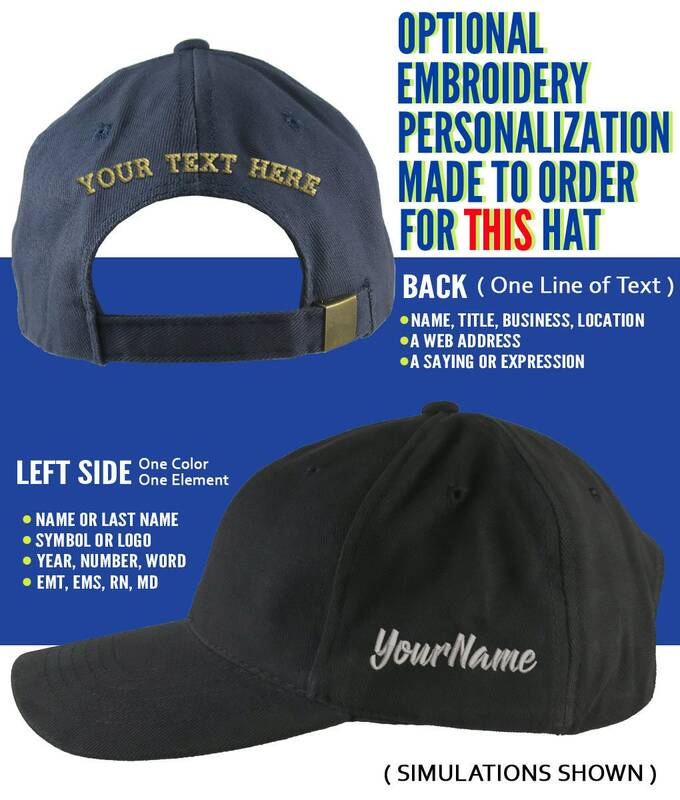 This base price includes your custom one color front embroidery decoration or text. 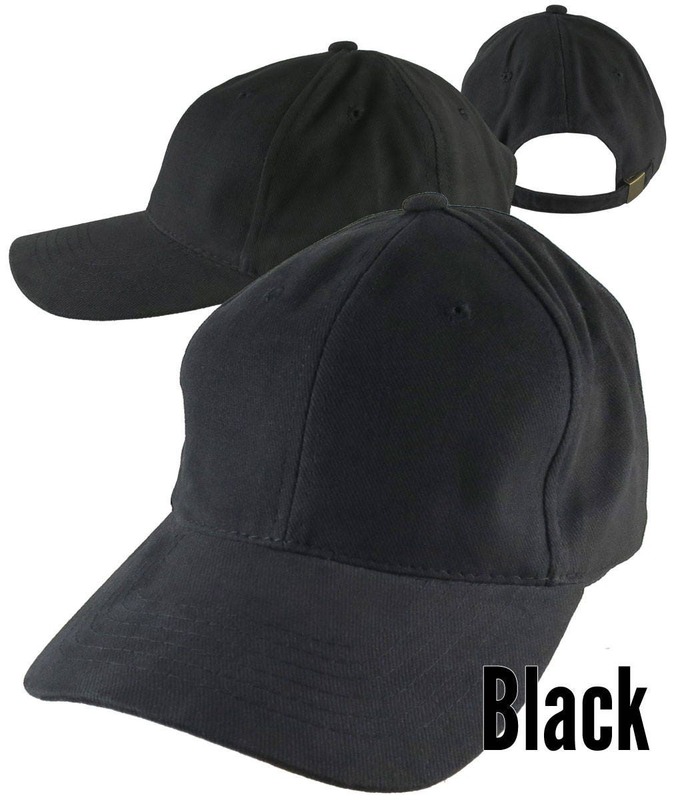 Specify the color embroidery thread you want. 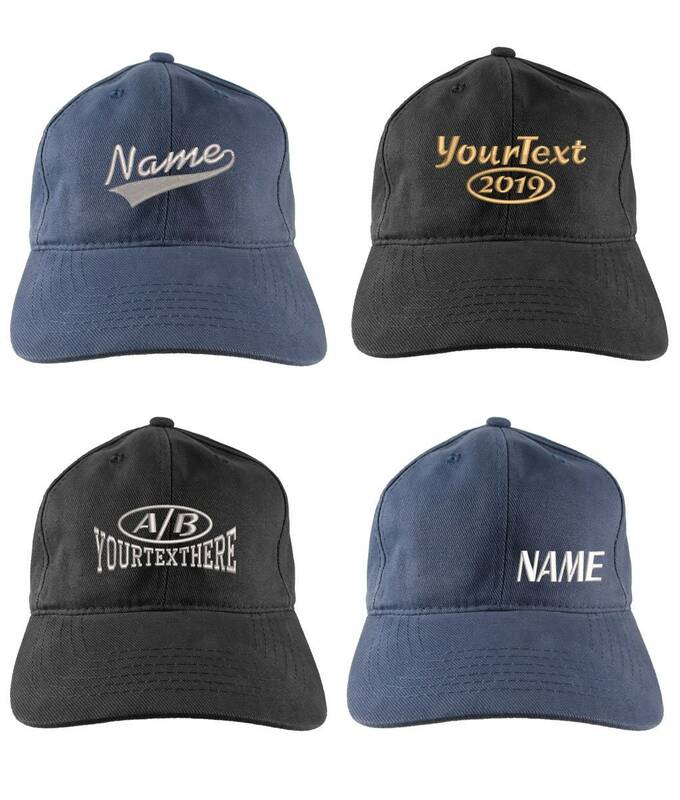 You can also optionally personalize this hat on the left side and/or the back for an additional fee. Love the hat. Suggestions for printing and colors were perfect. Arrived on time. Customer support was prompt and very helpful. Would not hesitate buying from them again. Excellent, will be ordering another.